Send a message to Doña about this episode, or questions you have about self-care. Part 1 of this conversation with Brodie. 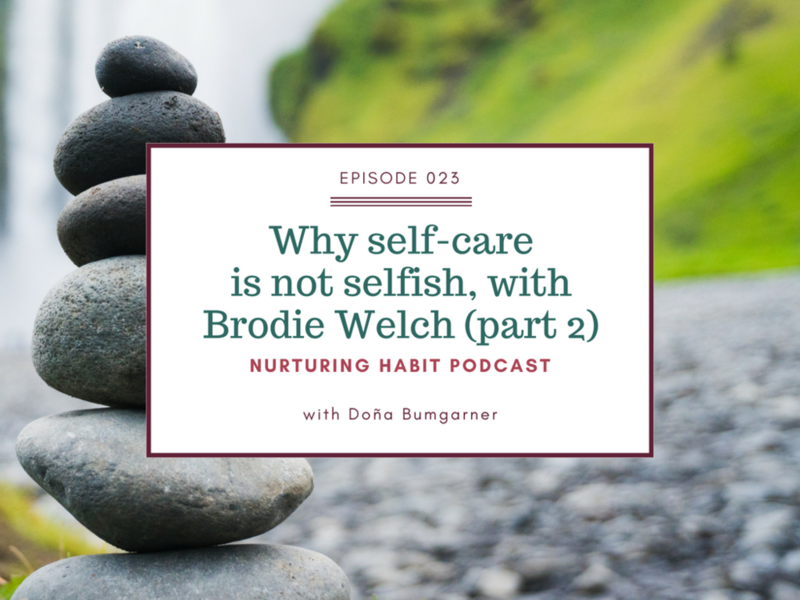 Episode 21, about self-care in hard times. Work with Doña to set up a self-care practice, learn to set boundaries, or get out from under your to-do list.